Formlabs developed our own print preparation software, PreForm, to make the print process for our desktop stereolithography (SLA) 3D printer, the Form 2, as simple and automated as possible. Updates to software settings can have a major impact on print quality and speed, without the need to change out hardware. In PreForm 2.19, we’ve added faster print settings for dental surgical guides, smaller support touchpoint sizes for highly detailed surfaces, new settings for Castable Wax Resin for dental casting and pressing, and some updates to large model handling. Read on to learn how the newest features work, or download PreForm 2.19 now. Throughput and efficiency can make or break the work of the people using our printers in the field, and we are always looking for ways to make printing on the Form 2 faster without sacrificing print quality. 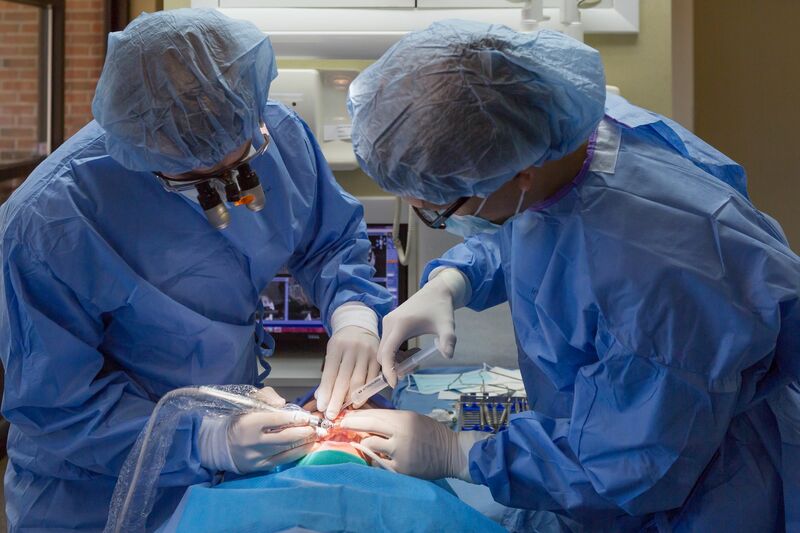 Dental SG Resin is our autoclavable, biocompatible material for 3D printing surgical guides. This material was designed to help guarantee accurate implant placement, decrease risks, and improve clinical outcomes. Dentists use 3D printed surgical guides to to help guarantee accurate implant placement, decrease risks, and improve clinical outcomes. With our latest update to PreForm, we’ve made the Form 2 up to 100% faster for Dental SG Resin with a new 100 micron print setting. Dentists can now print a surgical guide in under an hour—and potentially complete an implant in one day. For patients, this could mean a single appointment from scan to surgery. We’re excited to introduce faster printing for Dental SG Resin, and hope that this new setting will have an immediate impact on efficiency and convenience for dentists and patients alike. Keep an eye out for future settings updates to increase efficiency for other Formlabs materials. Dentists use Dental SG Resin to print surgical guides that guarantee accurate implant placement. With the new 100 micron print setting, the eight full arch surgical guides above would print in 3 h 30 min (compared to 5 h 35 min at 50 microns). Recommended for: Printing fast single site quadrant surgical guides. Not recommended for: Surgical guides with multiple implant sites or units, especially cross arch, demand the highest fit and accuracy. For these guides, we recommend printing at 50 microns. Try it: Download PreForm 2.19. 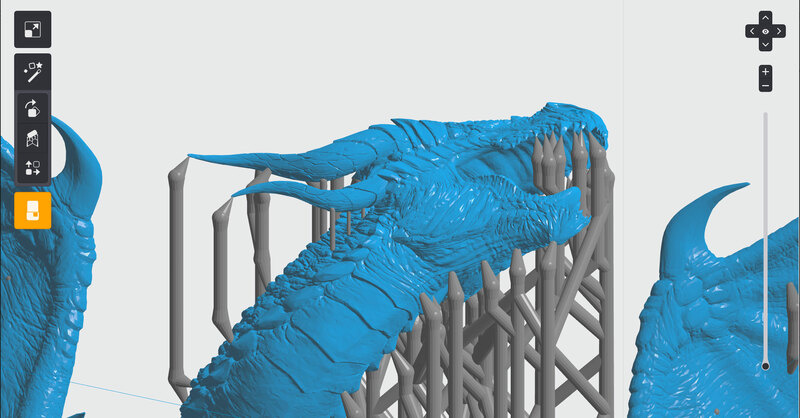 During Print Setup, set Material to “Dental SG” and Layer Thickness to “0.1 mm” for the fastest print. In response to many requests, we’ve lowered the minimum touchpoint size for support structures to 0.10 mm. This means you can use the smallest possible touchpoint size on highly intricate surfaces to minimize post-processing and retain detail. Use smaller support touchpoints for intricate features and surfaces with high detail to minimize post-processing. Manually edit supports in high detail areas for best results, while using the usual touchpoint sizes in larger areas that require more support for successful printing. Notice: 0.10 mm touchpoints are very small and can break easily from the peel forces during printing. Using too many 0.10 mm touchpoints without some stronger supports nearby can lead to parts detaching from supports and failing. Include larger touchpoints to support large areas and minima features. Recommended for: Manual support editing for intricate features and surfaces with high detail that benefit from minimal post-processing. 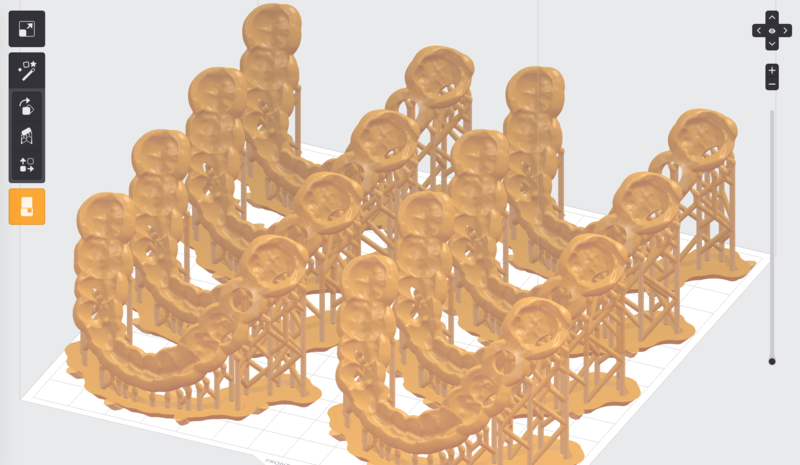 Not recommended for: Use as the default support size across the entire part; minima features where supports initially connect the part to the raft; heavy or large cross-section parts requiring more support for successful printing; functional parts requiring high accuracy that may be prone to warping during printing. Try it: Download PreForm 2.19. In the Supports menu, update the “Point Size” to 0.10 mm. Large file handling: We’ve improved performance for files over 1.5 GB, making PreForm faster and more reliable for large files. Castable Wax Resin for dental casting and pressing: Castable Wax Resin now includes an updated 50 micron setting and is now also validated for 3D printing highly accurate patterns for dental crowns, bridges, and removable partial dentures while still delivering detailed and intricate jewelry printing. Visit the PreForm web page to read the release notes and give the newest tools a try. PreForm is free for anyone to download and experiment with your 3D models, even if you don’t already have a Form 2.